In the audio/visual test, you will be expected to watch and listen to a piece of video. Generally speaking, this video is about 10 minutes in length. Once you’ve watched the video, you’ll be required to answer a series of questions based on the footage. As you can see, you could be asked a range of different questions about the footage you’ve watched. To make sure that you succeed in this exercise, we’ve included a few useful tips to give you an advantage. If you’re allowed to take notes, make sure to write down as much as possible. Categorise objects such as “Car 1 = Red, 4 doors”, “Car 2 = Black, 2 doors” and so on. Make sure your note-taking is concise – don’t worry about full-sentences during the note-writing stage! If you can’t think of the answer to the question because it’s something you can’t recall, don’t panic. Move onto the next question. If you’re allowed to go back to previous questions, later questions might jog your memory. To test yourself for this assessment, try watching Hazard Perception videos online. This is one of the Australian Police Officer tests that assesses your ability to read and interpret information. Answer the questions based solely on the information provided. Candidates who sit verbal reasoning tests often fall into the trap of answering the question based on fact, rather than answering the question based solely on the information provided in the text. The type of question you are likely to encounter will involve a passage of text followed by a series of questions which must be answered either TRUE, FALSE, or CANNOT SAY based on the information given. Read the following text before answering the question as either TRUE, FALSE or CANNOT SAY based on the information provided. A uniform is a set of standard clothing worn by members of an organisation whilst participating in that organisation’s activity. 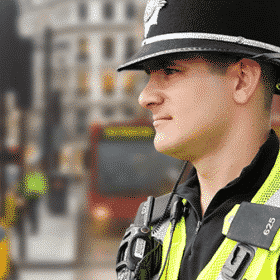 Modern uniforms are worn by armed forces and paramilitary organisations such as; police, emergency services and security guards, in some workplaces and schools and by inmates in prisons. In some countries, officials also wear uniforms in some of their duties; such is the case of the Commissioned Corps of the United States Public Health Service or the French Prefects. Q. Police officers are required to wear a uniform. The answer to the question is CANNOT SAY based on the information provided. Many candidates will answer this question as TRUE; simply because we all know that police officers do in fact wear a uniform. Crucially, the word ‘required’ is not mentioned in the passage. The important lesson here is to only answer the question based solely on the information provided, regardless of what you know to be fact. Here’s a quick refresher on what is meant by TRUE, FALSE, and CANNOT SAY in the context of the Literacy test. TRUE – If a statement is ‘true’, then it can be verified by the text. This means that the text must explicitly or implicitly mention something which proves the statement to be correct. In other words, you cannot make any assumptions about the text. There must either be direct evidence for the statement, or a strong inference to support the statement. FALSE – If a statement is ‘false’, there must be evidence in the text which contradicts the statement. For example, if the question statement says ‘all swans are white’, but the text says ‘there is such a thing as a black swan’, then the statement is false because it is directly contradicted by the text. CANNOT SAY – If there is not enough evidence to verify that the statement is true or false, then the correct answer is ‘cannot say’. Simply put, this means that you cannot say the statement is true or false based on the information provided in the passage. There you have it: two more types of Australian Police Officer Tests. If you’re looking for more guidance on how to pass the Australian Police Officer Tests, check out our guide: How to Become an Australian Police Officer.